Buying a property is likely to be one of the largest purchases you will make; whether the property is freehold, leasehold, new build or any other type of property the process can be legally complicated and stressful. Our conveyancing specialists understand how stressful the process can be and will deal with the legal transaction in a straightforward manner so you do not need to worry. If you are purchasing agricultural land, there are many pitfalls you need to be aware of including planning constraints, tenancies and other limitations. Our specialist conveyancing solicitors will investigate the title thoroughly and will fully explain the situation to you so you can avoid difficulties when using the land in future. If you are considering buying a property at auction you should look at the paperwork in detail before you do buy as once the hammer falls, you are obliged to purchase the property. Our specialist property specialists can investigate the title for you before the auction and raise enquiries for you which may inform your decision to purchase the property. Buy to let properties can be a good investment; however as a landlord you have certain obligations. We regularly act for individuals purchasing buy to let properties, our property specialists will advise you on the financial implications and mortgage and any contracts you may need in place for your tenants. We can also help if you have any difficulties with your tenants in future. If you are purchasing a leasehold property we will explain to you the terms of the lease including the covenants and restrictions. We are rigorous in our legal checks as leases can be complicated documents and any mistakes could make it difficult for you to sell the property at a later date. Retirement properties often have similar restrictions imposed on them such as the age of occupants and the ability to live independently. Before purchasing a retirement property, we will help you to fully understand what you are buying. Purchasing a property through a shared ownership may have hidden costs. Our property specialists will make sure that you are fully aware of the immediate financial cost and any future cost. To discuss buying a property with a conveyancing specialist, call or email us today. Minimum fee: £1,194.00 including VAT at 20%. Average fee: £1,620 including VAT at 20%. Minimum fee: £1,860 including VAT at 20%. Average fee: £2,220 including VAT at 20%. The purchase of a new build property will incur an additional fee of £420 including VAT at 20%. Our fees are calculated based upon the property purchase price and the complexity of matters that affect the property. if you are buying a leasehold property, there is an existing lease (not the grant of a new lease), in an acceptable form with an effective management set up and not requiring formal variation of the provisions or an extension of the lease term. The amount of SDLT you will pay depends on a variety of factors. Please click here to access HMRC’s Stamp Duty calculator. These are available to view on the Land Registry website which you can access by clicking here. register the purchase, and mortgage (if applicable), at the Land Registry. How long can you expect your purchase transaction to take? How long it will take from your offer being accepted until you can move in to your house will depend on a number of factors. The average process currently takes between 8 to 12 weeks. It can be quicker or longer, depending on the number of parties in the chain. For example, if you are a first time buyer, purchasing a new build property with a mortgage offer in place, it could take 6 weeks. However, if you are buying a leasehold property that requires an extension of the lease, this can take significantly longer, between 3 to 4 months. In such a situation, additional charges would apply. Bethany is a paralegal, assisting the residential property department in Woking. 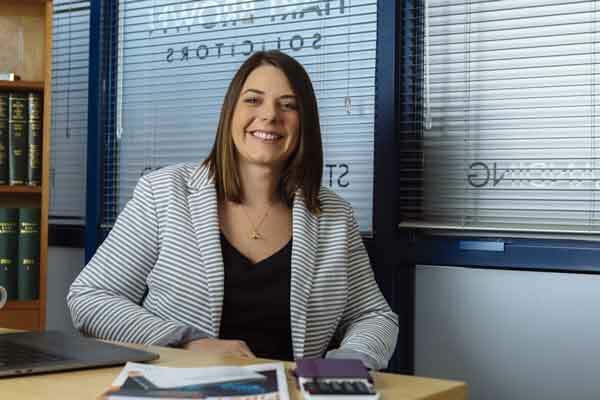 She graduated in 2017, initially working in new build residential property and then moved to Hart Brown supporting the team in Woking in a wide range of residential property work. Bethany graduated from Southampton University in 2016 and completed her Law conversion course in 2017 at the University of Law. Currently, Bethany is studying at weekends with a view to completing the Legal Practice Course to further her career. 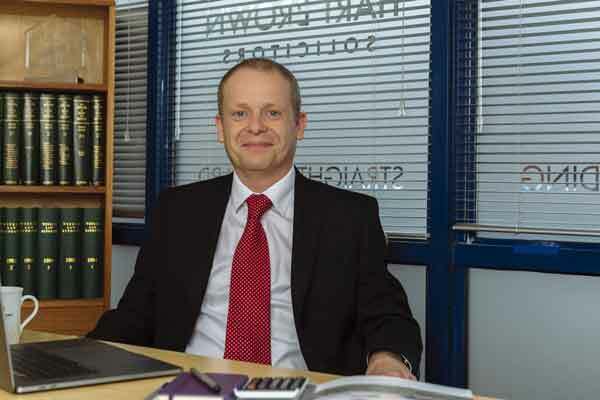 David is Partner of the firm, head of residential property and a qualified solicitor. 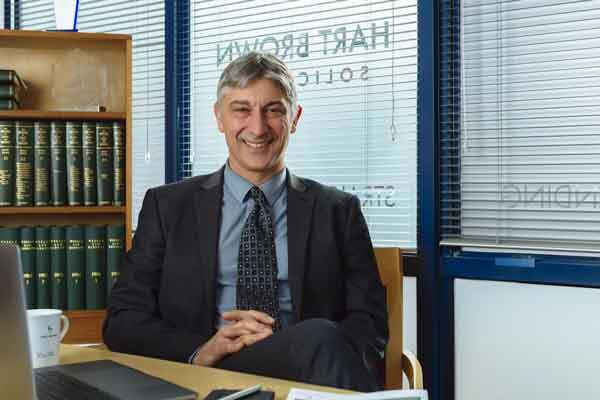 David has worked at Hart Brown for 37 years, joining the firm in 1981. 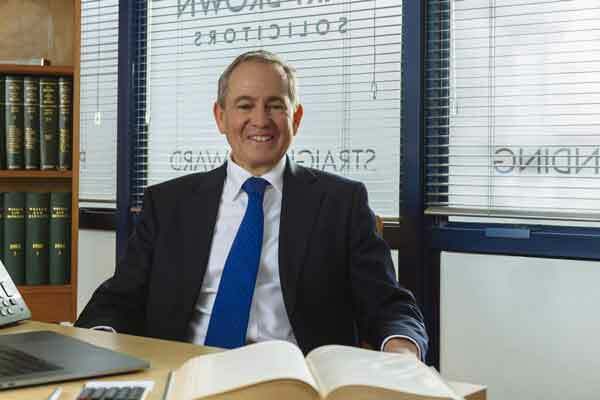 He graduated from the City of Birmingham Polytechnic in 1980, attended Guildford Law School in 1980 and qualified as a solicitor in 1984. 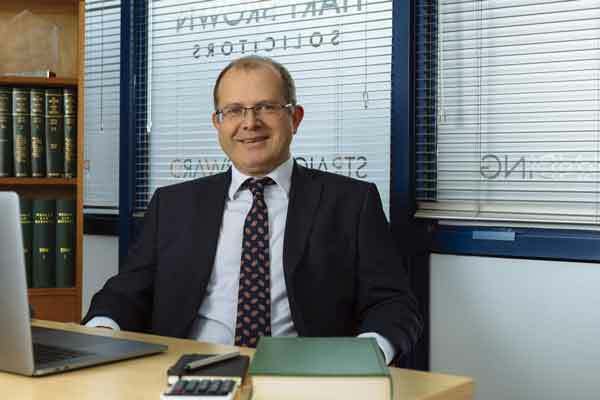 David's specialism in residential property and progression throughout the firm has enabled him to build many long-lasting relationships with clients he has helped over the years and continues to do so. He has a great deal of legal and life experience and enjoys interaction with those known to him as well as newly introduced people. Debbie, who is an Associate and Chartered Legal Executive, specialises in residential property. 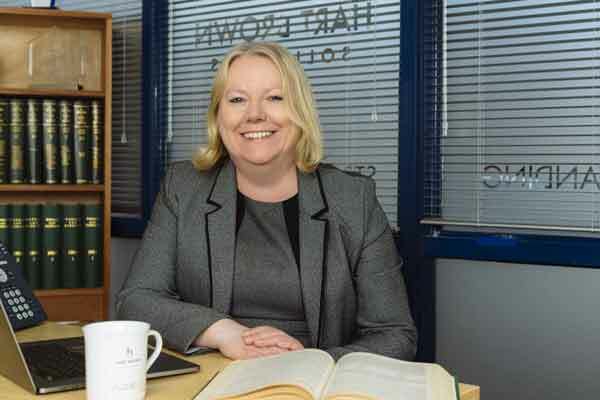 After joining Hart Brown in 1984 she quickly progressed through the ranks qualifying as a Legal Executive in 1996. She was admitted to the Fellowship in 1997. Debbie is well known in the Godalming area and receives high praise both from clients and agents who come back to her time and time again. Her most memorable case was the purchase of a property for clients who were looking for a quick turnaround. It was a mere 3 working days from instructions to exchange of contracts. "This is the second time we've used Debbie at Hart Brown, and yet again she has given us fantastic service. Shall certainly be using you again." "It's a quick, efficient and friendly service - just right for the somewhat fraught process of buying and selling property." "We had our smoothest sale ever thanks to Debbie Beswick." "Second time we've used you, second time we've been impressed." Emma is a Partner in the residential property department. She has 20 years' experience in helping clients move house as smoothly as possible. 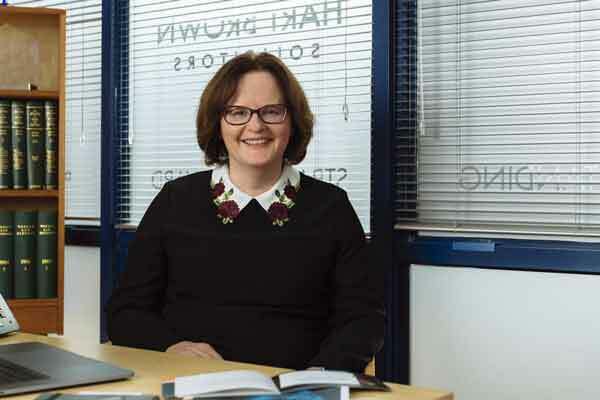 Emma qualified as a solicitor in 1998 after studying for an LLB (Hons) Law Degree. 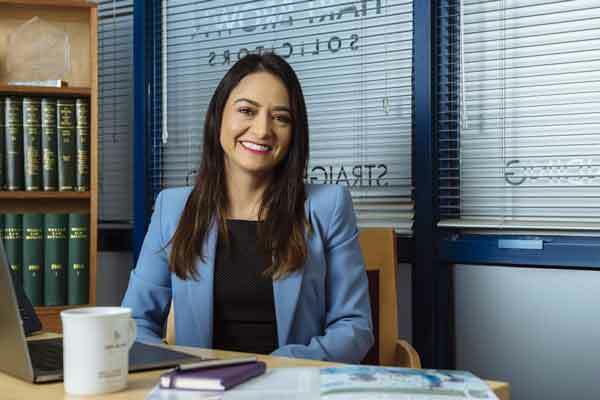 Her specialism within residential property involves dealing with a wide range of sales and purchase of houses and flats, ranging from first time buyers to high net worth properties. 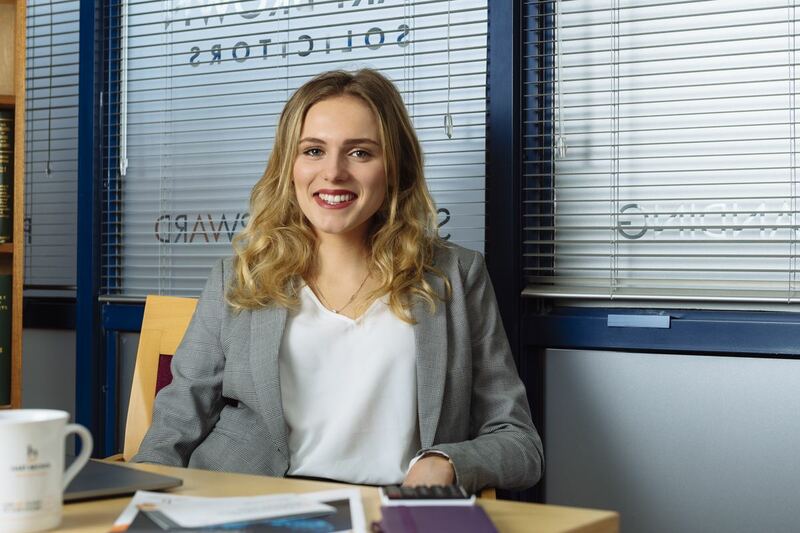 Emma is a proactive member of the team, moving transactions forward as quickly as possible. She strives to find solutions to a range of problems that arise, ensuring her clients achieve their desired goals. Francesca has a BA (Hons) degree from Staffordshire University and undertook the Post Graduate LPC course (with Commendation). 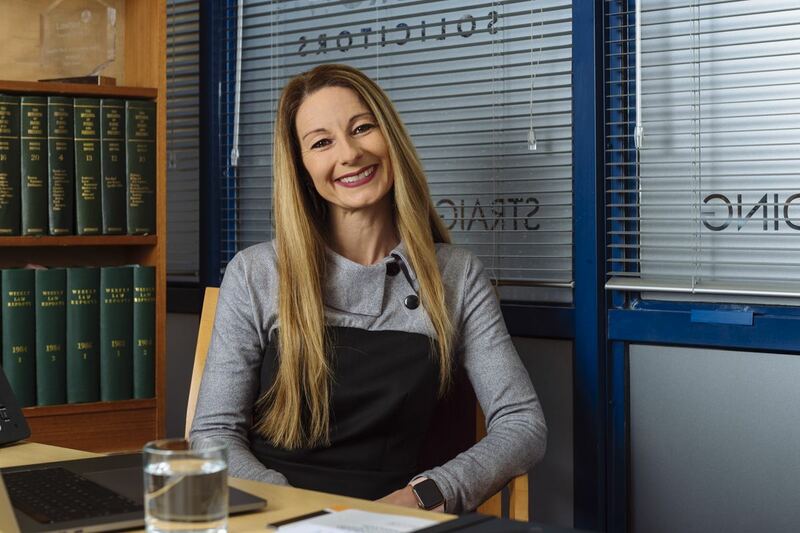 Francesca qualified in 1998 having completed her training at Fearon & Co Solicitors where she specialised in Private Client work which included residential conveyancing . She was a partner at that firm for 15 years. Francesca specialises in residential property acquisitions and disposals. What does Francesca say about herself? "I am approachable, directly contactable and I fully understand my clients' needs and objectives. 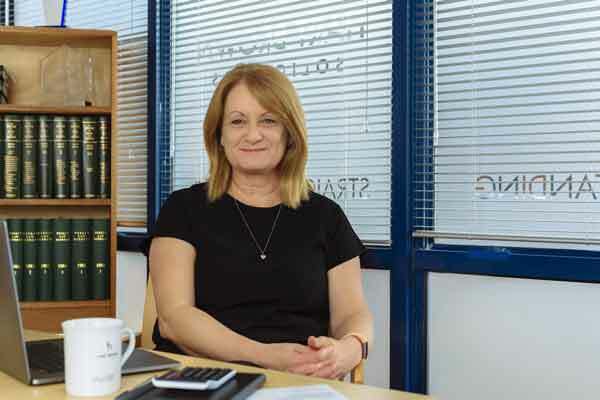 I always strive to meet client expectations, I do my utmost to achieve proposed timescales and above all, I try and make the conveyancing process as stress-free as possible for my clients." 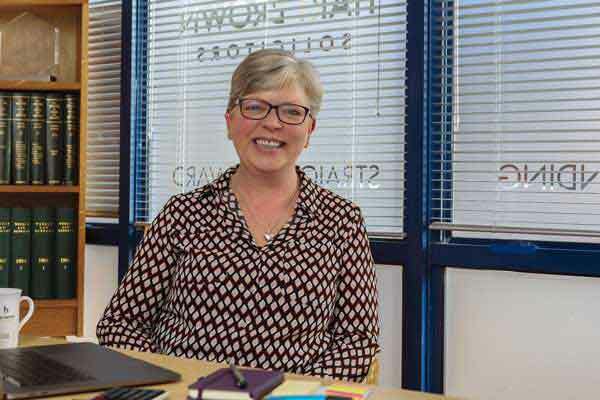 Jackie is a licensed Conveyancer based in our Godalming office, she deals with residential conveyancing including freehold and leasehold sales and purchases, remortgages, shared ownership, transfers of equity and more. Jackie has worked in conveyancing for approximately 15 years, having qualified as a Licensed Conveyancer some 10 years ago and she has worked at Hart Brown since August 2016. Jackie has an abundance of experience in residential conveyancing matters, she is an approachable and friendly individual, and very efficient in helping her clients achieve their desired outcomes. James is a paralegal, assisting the residential property department in Guildford. 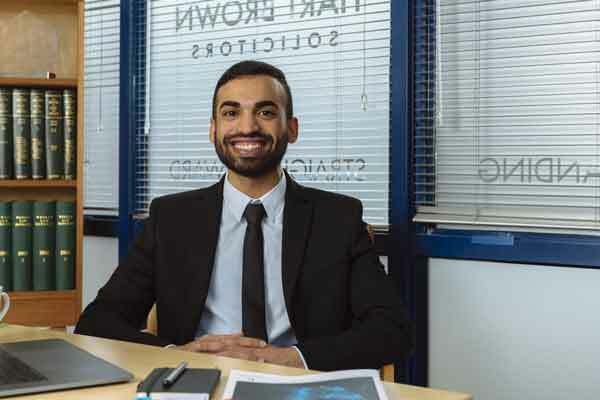 He graduated in 2017 and worked in conveyancing within a national law firm for a short while before joining Hart Brown supporting the Guildford office with a wide range of residential property work. 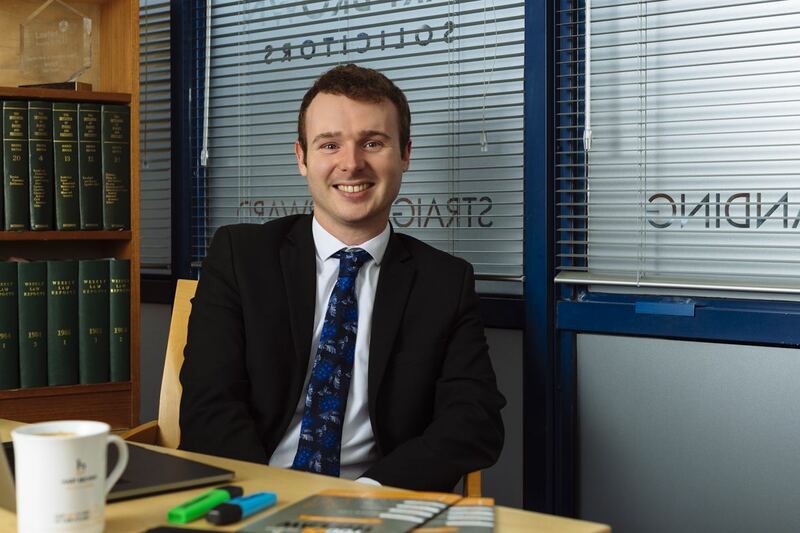 James graduated from Portsmouth University in 2017 with a view to completing his LPC and qualifying as a solicitor. He is looking to undertake his LPC studies at the University of Law in the near future. Jeremy has extensive knowledge in Residential Property having qualified in 1992. He is committed to providing a proactive, friendly and positive approach, with 25 years’ experience as a residential property specialist. Jeremy strives to communicate clearly and effectively with all those involved in transactions he deals with, in order to achieve the best outcome for his clients. He endeavours to find pragmatic solutions to problems wherever possible. 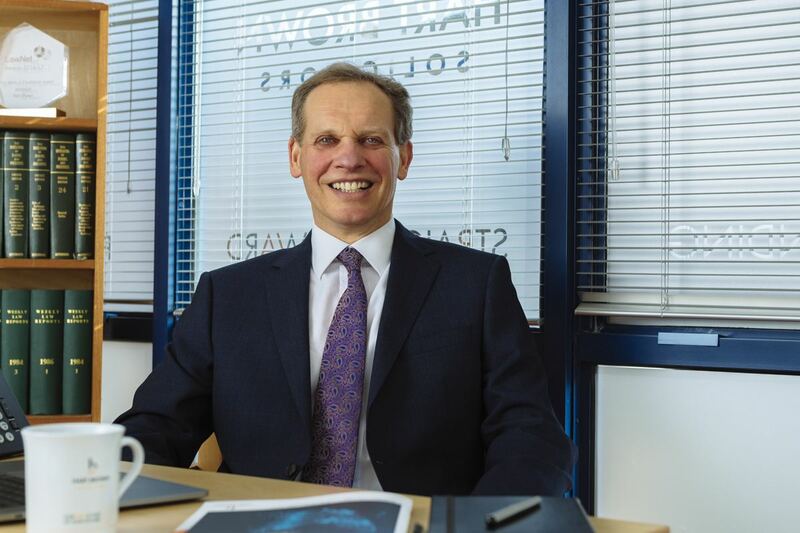 Jeremy believes in building up a strong relationship with his clients in order to understand their aims and needs, and work with them to achieve these so far as possible. Memorable cases Jeremy has worked on include completing a purchase within a week from instruction where his client was given a great incentive on a new build property if he completed that quickly. In 2014, Jeremy was involved the sale of a property where a Local Authority had acquired a strip of land along the frontage in the 1960s for potential road widening. They had granted a license over the land in exchange. The road widening never took place and the scheme had been abandoned, however, the buyers’ solicitors were not happy with the license arrangement that remained in place. Jeremy drafted a conditional contract clause which gave his client 9 months to resolve the issue with the Local Authority and to pay any premium agreed out of the exchange deposit. After lengthy negotiations with the Local Authority which involved taking Counsel’s Opinion in relation to the status of the license, an agreement was reached with the Local Authority just in time to enable him to give notice to the buyers’ solicitors to complete the sale. Nicole studied Law at the University of Reading before working as a paralegal in a busy conveyancing department whilst completing the LPC on a part-time study basis at the College of Law, Guildford. She completed her training contract with a Hampshire based firm and qualified as a solicitor in England and Wales on 17 February 2014. Nicole then worked briefly in family law before choosing to specialise in residential property. She specialises in the sale and purchase of freehold and leasehold properties, Transfers of Equity and re-mortgages. Peter’s specialism is residential property. 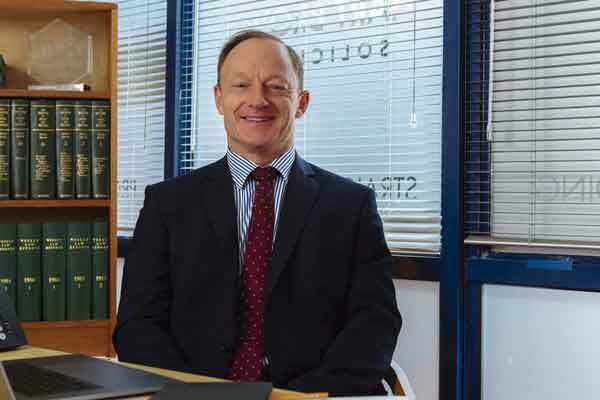 He qualified as a Solicitor in 1991 and worked for a number of firms as a locum and then full time before joining Hart Brown in 2000. His experience as a locum he says gave him a good insight into the kind of firm that he wanted to settle down in. “It is amazing how different firms are in terms of the service they offer their clients” says Peter. Peter receives excellent feedback from his clients: "I found all my dealing with Peter Howe very useful, he is very down to earth and explained and answered all my queries very clearly, which took away a lot of the stress. Thank you." Tim is Chair of the firm, Compliance Officer for Legal Practice and Quality Partner, dealing with residential property work. Tim has a vast amount of experience in residential property, having been qualified for over 40 years. He is learning many aspects of his additional roles, yet he is still invested and highly competent in residential property. Tim qualified with a BA in Business Law, Articled with Hart Brown in 1978 and became a solicitor in 1980. His specialism in residential property work, particularly in the Surrey area, has provided Tim with a highly experienced and efficient skill set to achieve successful results for many long-standing and new clients. Tulia qualified as a solicitor almost 12 years ago and specialises in all aspects of Residential Property work. Tulia is also a qualified lawyer in Colombia, Latin America, and she is bilingual in English and Spanish. Is hugging now completely off-limits at work? Don’t clinical negligence claimants take forever to get damages? !